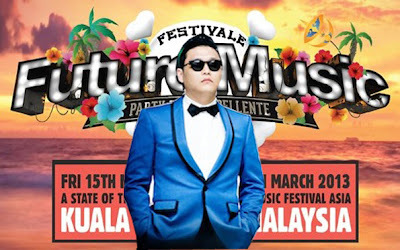 It seems that Psy is coming to Malaysia for the Future Music Festival Asia (FMFA) in March 15 - 16 2013. You like? You excited? Would you go?